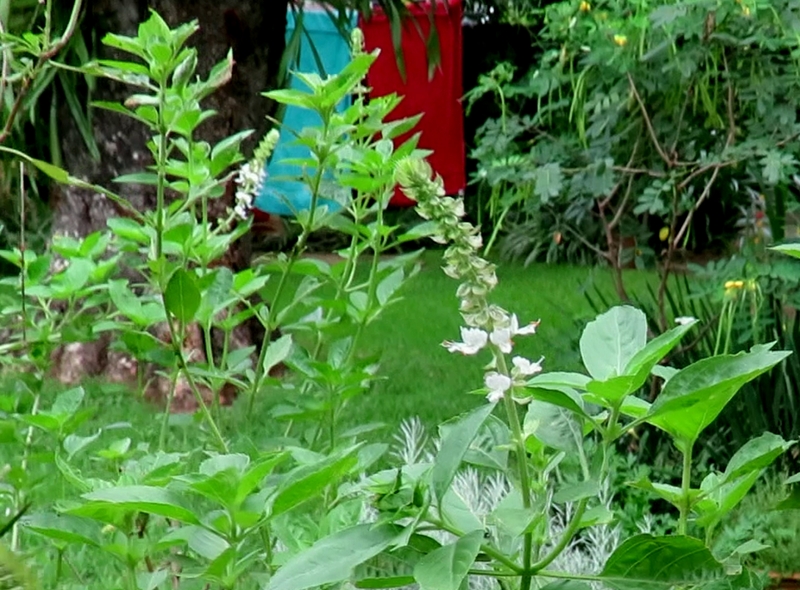 Explore Marie Hollingworth’s garden with me. Marie’s garden is part of the Corinda Creeks link creating mosaic habitat in Oxley Creek Catchment. Entering Marie’s Pollinator Link garden is an adventure in discovery: lizards, butterflies, moths, bees, spiders. 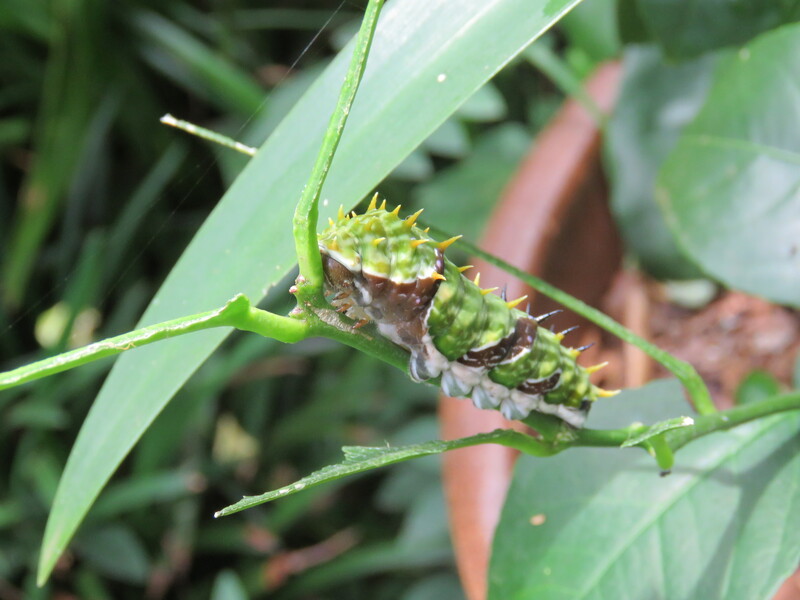 Insects are important food for the small insect-eating birds that are scarce in our city gardens, as well as, providing free eco-friendly pest control services for your vegetable garden. Tiny Mango Planthoppers Colgaroides acuminata are one of the first curious creatures I found in Marie’s Bird Food Deli. A diversity of local plants is key to inviting insects including butterflies into your garden. 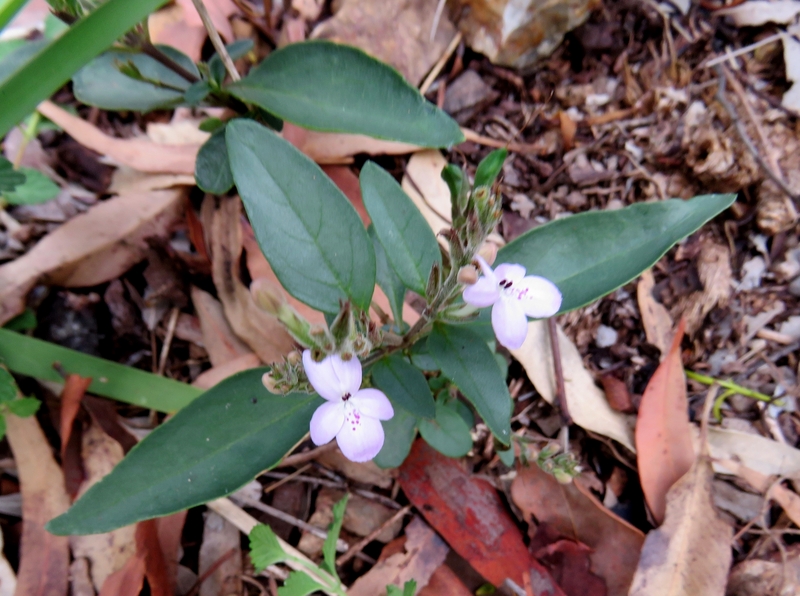 Love Flower Pseuderanthemum variable is scattered through Marie’s garden providing food for five local butterflies: Australian Leafwing, Blue Argus, Blue-banded Eggfly, Danaid Eggfly and Varied Eggfly. 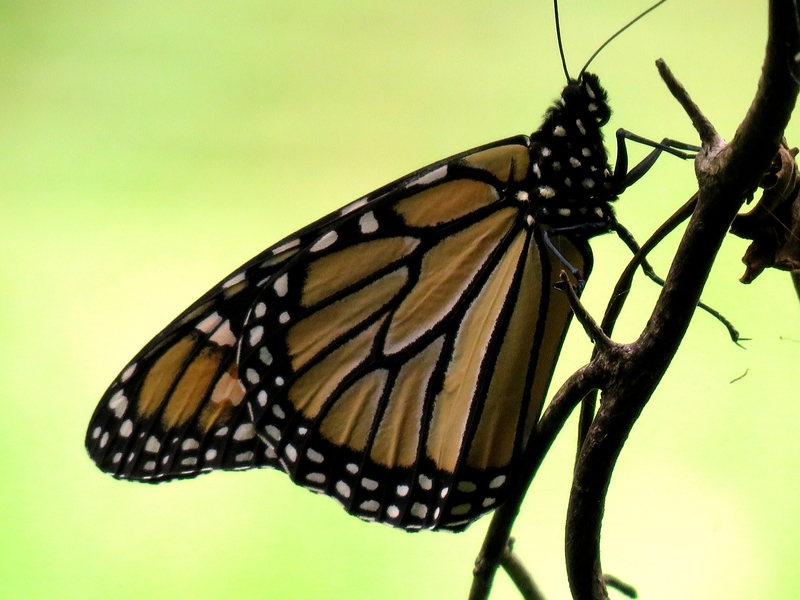 Monarch or Wanderer Danaus plexippus a late comer to Australia. 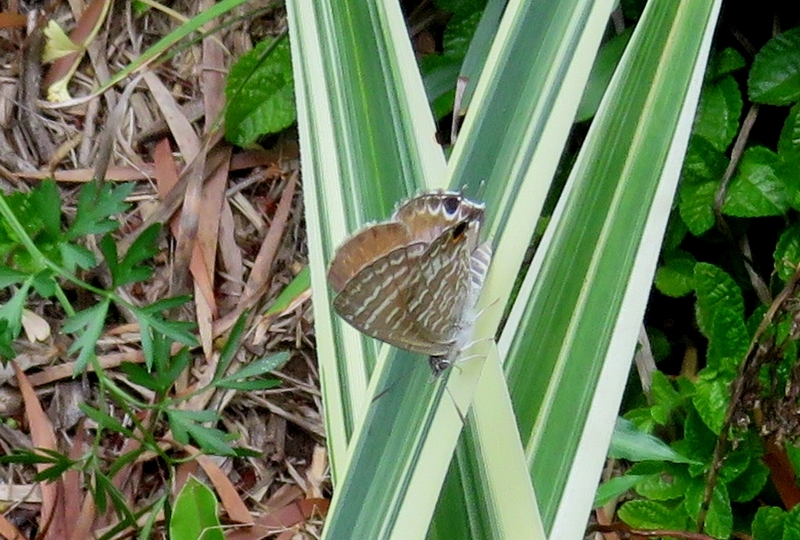 Cycad Blue Theclinesthes onycha butterflies love to feed on the Cycads native to South East Queensland. Citrus trees are food for Orchard Swallowtail Papilio aegeus caterpillars. 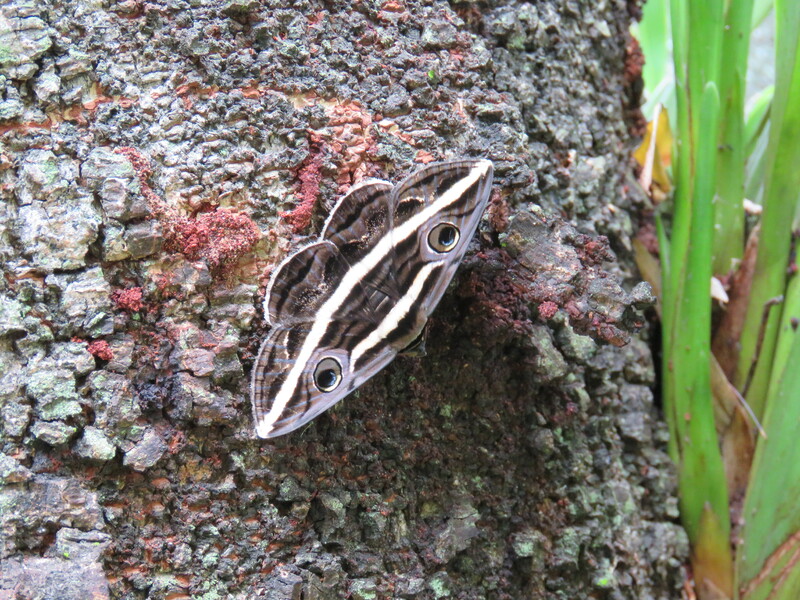 The spectacular White Banded Noctuid Moth Donuca rubropicta found in the garden. No information is available on food plants. However there must be something good to eat among the diverse plant species. 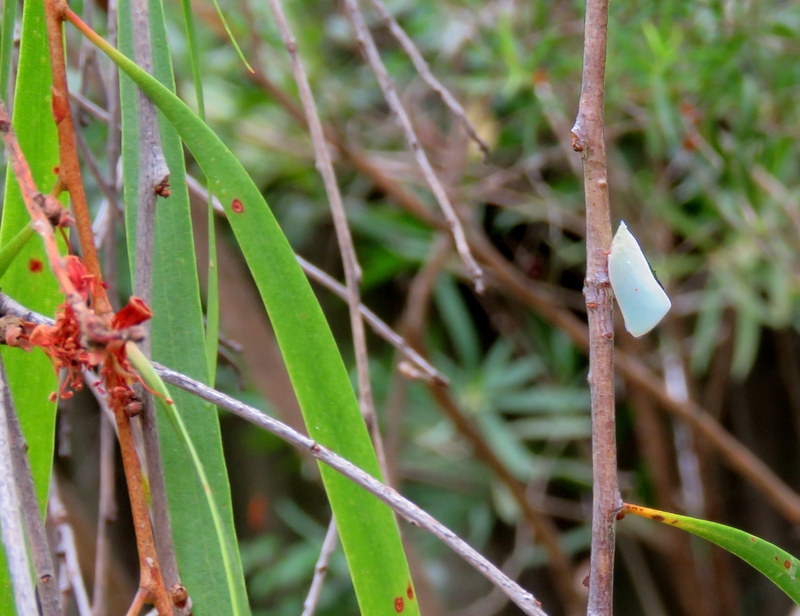 As their name suggests Cabbage White butterflies Pieris rapa are perhaps less welcome in our vegi-gardens even if they are food for small birds. 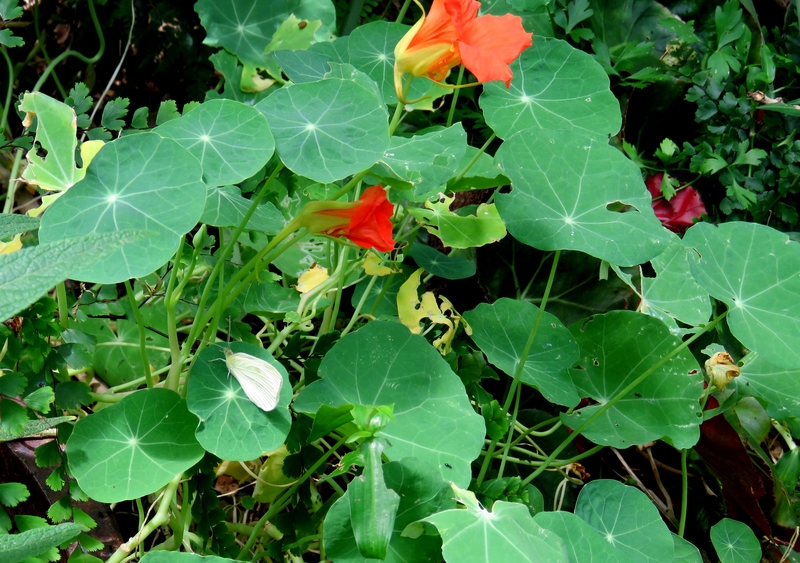 Planting Nasturtiums Tropaeolum majus may be a win-win solution to attract butterflies and protect and add to your vegetable garden. Sweet Basil Ocimum sp. is another non-native that adds value to a Pollinator Link garden. Native Stingless Bees love the flowers while Basil is a valuable food for people, encourages growth of tomatoes and can be rubbed on skin to act as an insect repellent. Edge Senna Senna acclinis is another good butterfly plant supporting Small Grass-yellow and Yellow Migrant, as well as, being popular with bees. Edge Senna is also a threatened species as it has lost most of its rainforest edge habitat. 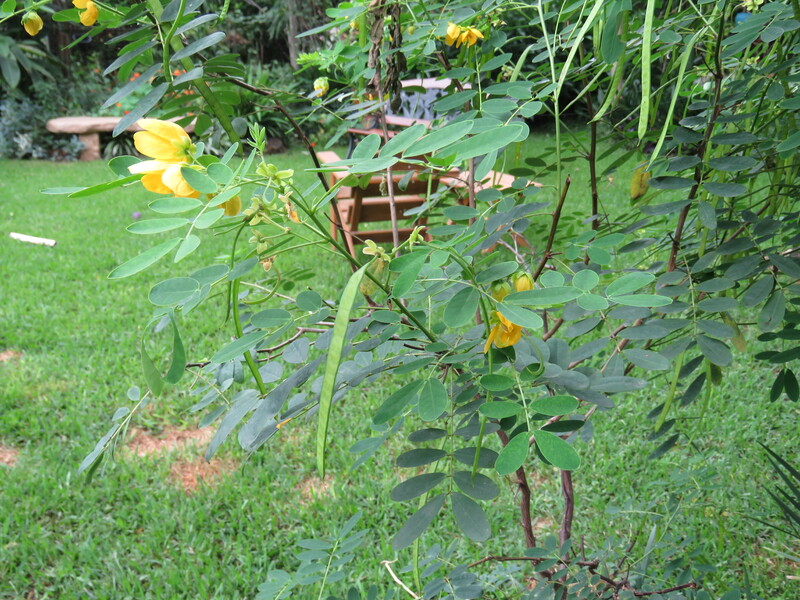 Don’t confuse the environmental weed Easter Cassia Senna pendula. 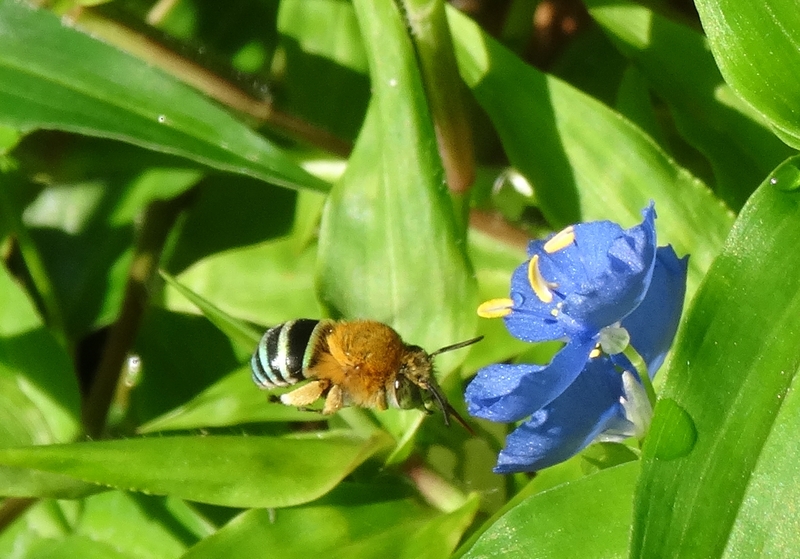 Blue Banded Bees Amegilla cingulata love our blue flowering natives like Marie’s Blueberry Lily Dianella longifolia or Native Wandering Jew Commelina diffusa that this bee is visiting. Climbing Guinea Flower Hibbertia scandens is an excellent Verge Garden plant and attracts solitary native bees: Great Carpenter Bee Xylocopa (Koptortosoma) aruana, Metallic Carpenter Bee – Xylocopa (Lestis) bombylans, Small Metallic-green Bee – Homalictus sp., as well as, Satin-Green Forester Moth Pollanisus viridipulverulenta. This entry was posted in Pollinator Link, small birds and tagged Blue Banded Bees Amegilla cingulata, Blueberry Lily Dianella longifolia, Cabbage White Pieris rapa, Climbing Guinea Flower Hibbertia scandens, Companion Planting - Sustainable Gardening Australia (SGA), Cycad Blue Theclinesthes onycha, Easter Cassia Senna pendula., Edge Senna Senna acclinis, Love Flower Pseuderanthemum variable, Mango Planthoppers Colgaroides acuminata, Metallic Carpenter Bee - Xylocopa (Lestis) bombylans, Monarch or Wanderer Danaus plexippus, Nasturtiums Tropaeolum majus, Orchard Swallowtail Papilio aegeus, Sweet Basil Ocimum sp, Verge garden, White Banded Noctuid Moth Donuca rubropicta. Bookmark the permalink.